The solar system is our planetary system that includes a central star and all the natural space objects orbiting it. Everything else is a stellar system. The mass of the sun accounts for 99.86% of the weight from our solar system. Fusion from the sun heats our solar system. 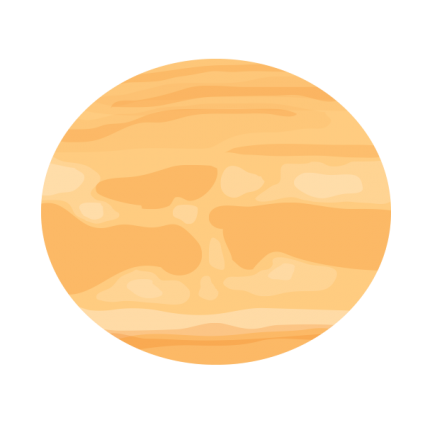 The planets closest to the star are densest containing an iron or nickel core. Their exterior are silicate and metals. Finally, the less dense planets are on the exterior. The asteroid belt is kilometers in size positioned between Mars and Jupiter. 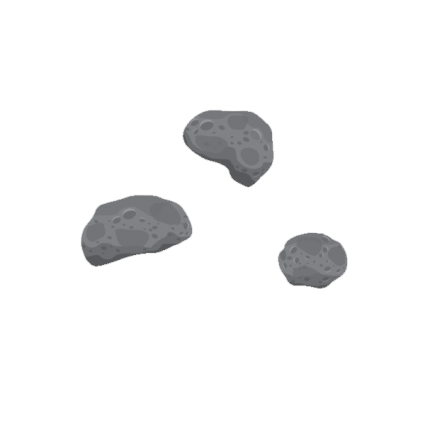 These odd-shaped rocks never made it into a planet of its own. Finally, icy bodies and space debris fill the Oort Cloud and Kuiper Belt at the edge of the solar system. Our sun is so massive that it’s 99.9% of the mass in our solar system. The sun is mostly hydrogen and helium. By fusing hydrogen to helium, the sun releases vast amounts of energy towards Earth. It takes sunlight 8 minutes and 20 seconds to reach us. This is the solar radiation that heats our planet. Our sun is a main sequence star with a life expectancy of about 10 billion years. 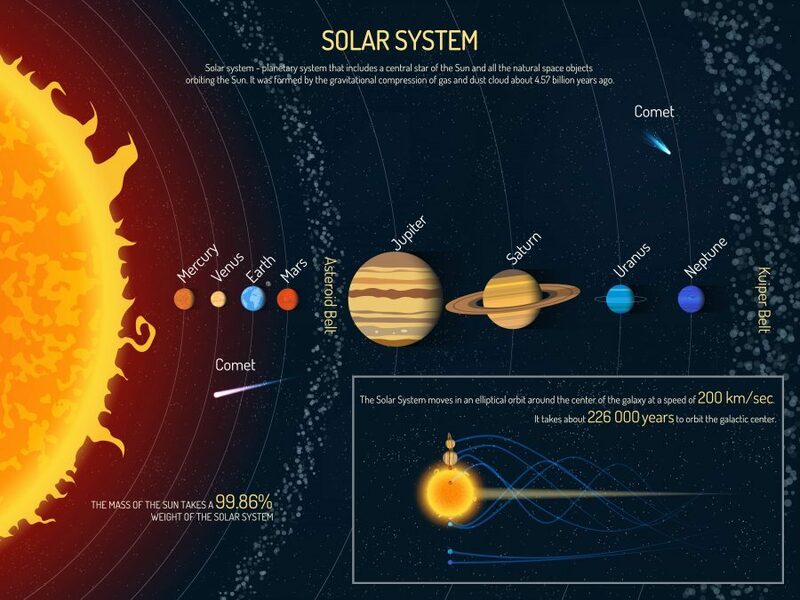 Currently, we’re into year 5 billion years of our Sun’s lifespan. Planet Mercury is so hard to study because it’s closest to the sun. This is because it’s so hot. 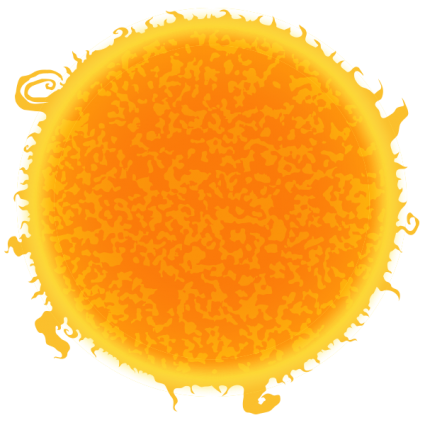 For example, the side facing the sun reaches temperatures of 430°C. Mercury is covered with impact craters. Astronomers name craters on planet Mercury with the names of famous musicians, artists and writers like Beethoven, Shakespeare and van Gogh. 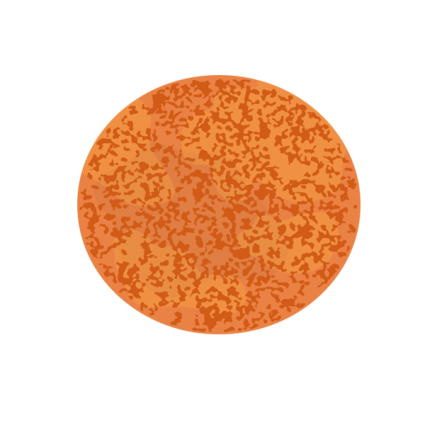 It’s tiny with a radius of only 2,440 km making it the smallest planet in the solar system. If you combined about 18 Mercury sized planets, it would be the equivalent size to Earth. Mercury has a comet-like tail that extends as far as 2.5 million kilometers long. Scientists have figured out that it’s sodium sputtering from its surface. Because of its glowing appearance (surface temperature of 460°C), the Romans named Venus after the Roman Goddess of Love. Astronomers name most Venusian mountains and volcanoes as female figures including Cleopatra, Mona Lisa and Curie. Astronomers call planet Venus “Earth’s twin” because of similarities in size, gravity and being made of similar material on the surface. Despite all the positives, we have little desire to visit Venus. First, it’s scorching hot. Second, the atmospheric pressure is intense. Lastly, it rains sulfuric acid. But the closest we’ve ever been to Venus were simple flybys, orbits and landings on the Venusian planet. No one has ever stepped foot on its surface. Earth needs no introduction. Because Earth receives a hearty portion of sun’s rays and its liquid, it’s the reason why exist today. Earth started as a red marble and fiery hot. 4.5 billion years ago, we were blasted in a violent time during a heavy bombardment stage. But over lots and lots of time, Earth cooled down. It was plate tectonics that forged the planet. Earth was one supercontinent known as Pangaea. Actually, multiple times through the supercontinent cycle. Then, plate tectonics tore land apart again. 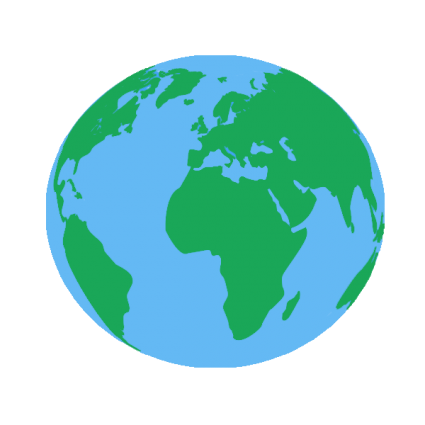 Gradually, continents rifted away as part of continental drift. Life probably originated in water. Then, it evolved from oceans to the land. And today, we struggle with climate change and over population. There’s so much to learn about our planet and this list of 100 Earth facts just scratches the surface. Mars has been one of the greatest frontiers for discovery. Since the early 1960s, spacecrafts have whizzed by and even landed on Mars opening our curiosity. Mars has Earth-like environments like dust storms, deserts, sand dunes and ice caps. 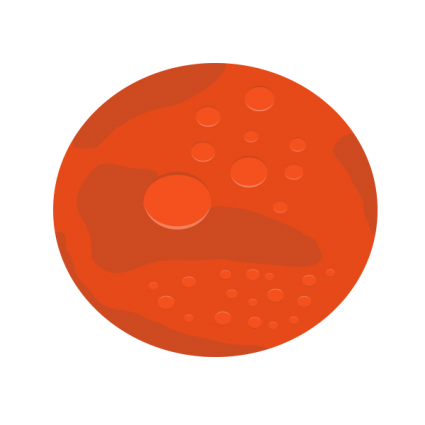 But much of planet Mars is blanketed by a red dust so they share little resemblance. Similar to Earth, Mars has a summer, spring, autumn and winter. This is because Mars rotates on a tilted axis. While Earth’s inclination to equator is 23.5°, Mars is about 25.1°C. The most exciting fact about Mars is that it may have liquid water. At its south pole, a permanently ice-filled crater is the greatest evidence that liquid water lies beneath the planet. Jupiter is colossal in size. It’s so big that if you combined all the other planets, moons and asteroids in our solar system in a ball, it still wouldn’t be half the size of Jupiter. 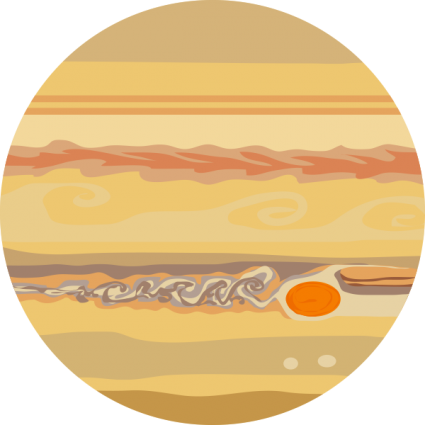 At about 1000 times larger in volume compared to Earth, planet Jupiter is the largest planet in our solar system. In fact, if Jupiter was 50 times larger than it is now, it would be a star on its own. Because of its tremendous size, it’s contending with the sun in a so-called gravity tug-of-war. It puts Mercury, Venus, Mars, Earth and an asteroid belt smack dab in the middle. Interestingly, Jupiter has a permanent cyclone that’s been there ever since we’ve observed it. It also has the biggest Aurora Borealis and 79 moons. Four of Jupiter’s large moons are particularly exciting because of their interesting geology. These moons are Ganymede, Callisto, Io and Europa. The most prominent feature for Saturn are its iconic rings. It’s believed that its rings are made of liquid ice which formed from remnants of comets, asteroids and other space debris. There are 62 moons that orbit planet Saturn. These moons are commonly named after Greek or Roman gods, such as Titan. Saturn’s atmosphere is filled with methane and ammonia. The ammonia crystals on Saturn swirl around the planet coloring it with a gold tint. 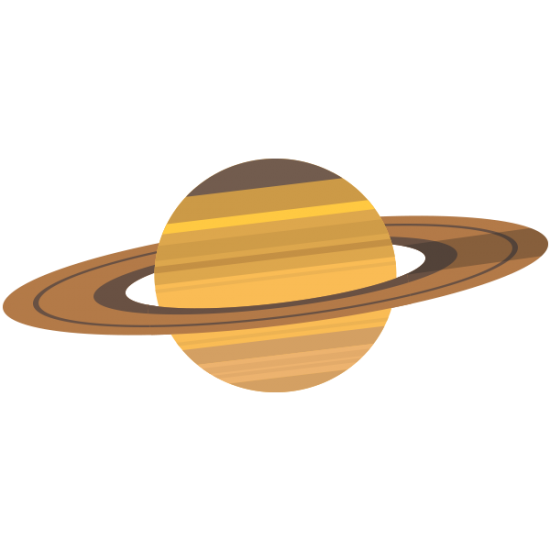 Even though Saturn is the second largest planet, it is the lightest planet in the solar system. If you were to put it into a giant bathtub, it would float. Other than Voyager 2’s flyby in 1986, what we know of Uranus is all by telescope. From these photos, we learned that planet Uranus has 9 bright rings. We also learned that it has an unusual tilt at 98 degrees on its side. Because of its unusual tilt, one of its hemispheres are pointing at the sun. This means that seasons are roughly 21 years long. 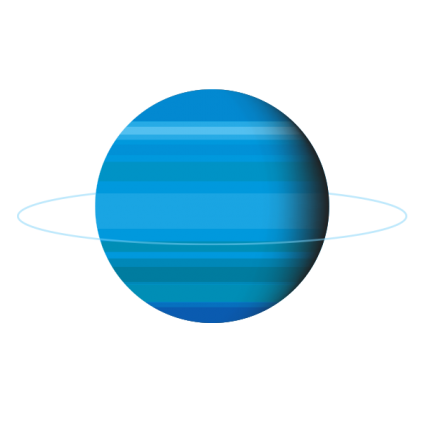 Uranus has bluish glow because of methane gas in its atmosphere. Methane gas is known to absorb red light and strongly reflect blue. Uranus has 27 moons and astronomers name them based on characters from William Shakespeare and Alexander Pope. For example, its 5 major moons include Umbriel, Miranda, Ariel, Titania and Oberon. Neptune is about 4.495 billion kilometers from the sun making it the farthest planet from the sun. This is about 30 astronomical units (AU) away from Earth. Neptune has a tilted axis at about 29 degrees. Because if its tilt, it has seasons like Earth. 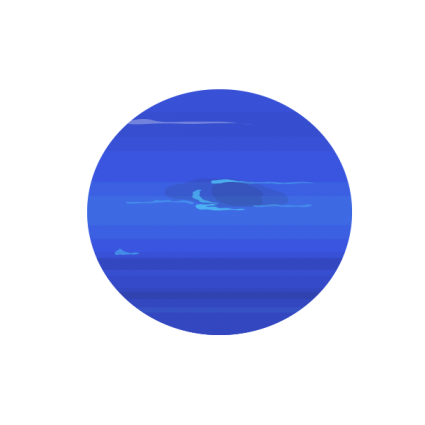 Further to this, planet Neptune has the strongest winds of all other planets. Neptune resembles Uranus with a similar size, composition and temperature. Interestingly, Pluto is part of Neptune’s orbit. Not so long ago, Pluto was considered a planet on its own. But now Pluto has been demoted to a dwarf planet because we’ve learned more about planet Neptune’s orbit. Finally, icy bodies and space debris fill the Oort Cloud and Kuiper Belt at the edge of the solar system. 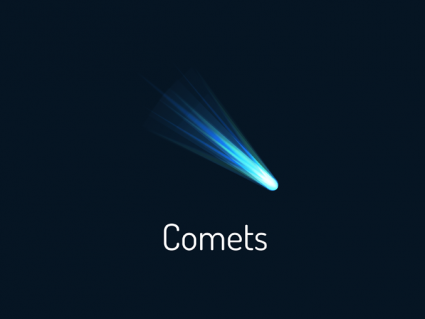 The Oort cloud and Kuiper Belt are at the edge of the solar system where most comets reside. This collection of icy objects were caught in the sun’s gravitational pull. But they haven’t had the chance to interact and evolve like objects closer to the Sun. These balls of frozen gases mixed with pieces of rocks, water and ice orbit around the solar system about 150 million kilometers away. At edge of solar system, this is where we draw the line. When you have two large bodies like Jupiter and the sun in the solar system, you have two large opposing forces of gravity pulling on each other. Think of the asteroid belt as being smack dab in the middle of a gravity tug-of-war. Neither side is winning so asteroids are stuck in between. The asteroid belt is kilometers in size. If you were to take all the asteroids and put them together, they would make up just 4% of the mass of the moon. This means that there’s really not a lot of material in the asteroid belt orbiting the sun. The largest asteroid is Ceres and is considered dwarf planet because of its size.